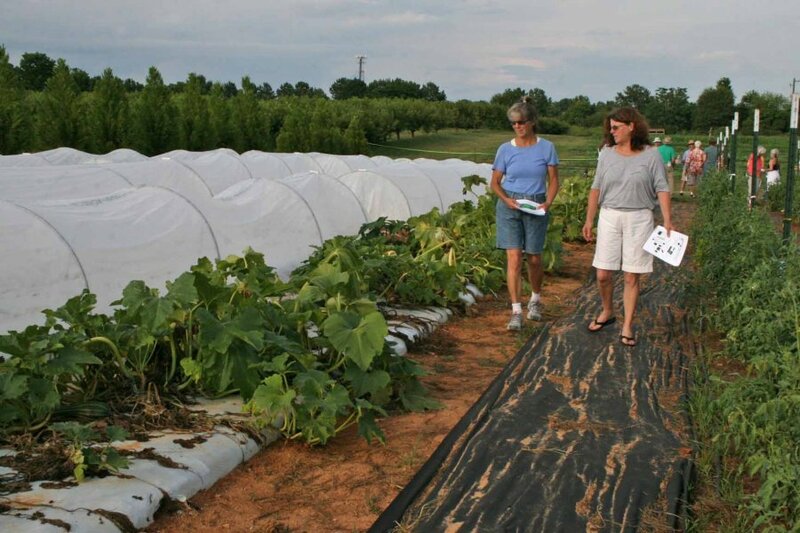 In its sixth year, UGA’s Organic Farm Twilight Tour is a chance to stroll around UGA’s 90-acre organic research and horticulture farm and learn about the latest in organic growing methods. The tour will run from 6 to 8 p.m. on Thursday, June 29, 2017, at the College of Agricultural and Environmental Sciences Durham Horticulture Farm at 1221 Hog Mountain Road in Watkinsville, Georgia. Faculty and researchers will be at their plots to talk about their research and best practices for small and medium vegetable and fruit producers. Topics include natural pest and disease control, fruit tree and vine pruning, high tunnel growing, small farm machinery, organic watermelon production, measuring nitrogen from cover crops and more. The field day promises to be interesting for anyone who is interested in how organic food is grown, the challenges organic growers face and how they overcome those challenges. Past Organic Twilight Tours have attracted more than 100 visitors to the Durham Horticulture Farm, and it’s a very pleasant way to wind down a summer evening. The 2017 Organic Twilight Tour is sponsored by Chestatee/Chattahoochee Resource Conservation and Development Council and the council’s executive director Frank M. Riley, Jr. In case of inclement weather, the tour will be held on June 30. For more information, email George Boyhan at gboyhan@uga.edu. To learn about sustainable agriculture at the UGA College of Agricultural and Environmental Sciences, see sustainagga.caes.uga.edu/news.html.